'S e baile ann am meadhan na h-Alba a tha ann an Caldercruix. Tha e ann an Siorrachd Lannraig a Tuath. Chaidh loch-tasgaidh mòr airson Canail Bhad nam Manach agus Rathad-Uisge Fhoirthe is Chluaidh a thogail ear air Caldercruix eadar 1796 agus 1798. Tha stèisean-rèile ann, air an loidhne eadar an t-Àrd Ruigh agus Bathgate. ↑ “Caldercruix”. Ainmean-Àite na h-Alba. Air a thogail 14mh dhen Dùbhlachd 2017. ↑ “Monkland Canal, Hillend Reservoir”. Canmore. Air a thogail 14mh dhen Dùbhlachd 2017. ↑ “Airdrie To Bathgate Railway, Caldercruix station”. Canmore. Air a thogail 14mh dhen Dùbhlachd 2017. 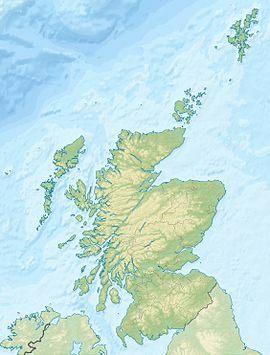 Air a tharraing à "https://gd.wikipedia.org/w/index.php?title=Caldercruix&oldid=540396"
Chaidh an duilleag seo a dheasachadh 14 dhen Dùbhlachd 2017 aig 22:02 turas mu dheireadh.